A decent wind this morning saw me heading off into the distance to travel light to shoot a flight line. All I took apart from gun and cartridges was a net and my relatively new folding saw. This proved to be an invaluable tool as it enabled me to cut some lengths of hazel to form a structure for a hide which I 'built' on the corner of a wood which I have seen pigeons returning to at various times of day. I had an hour of good sport during which time I shot 12 pigeons. worth a look tomorrow afternoon some proper wind, they will be walking home. What would we do without hazel ? Instant hide poles. 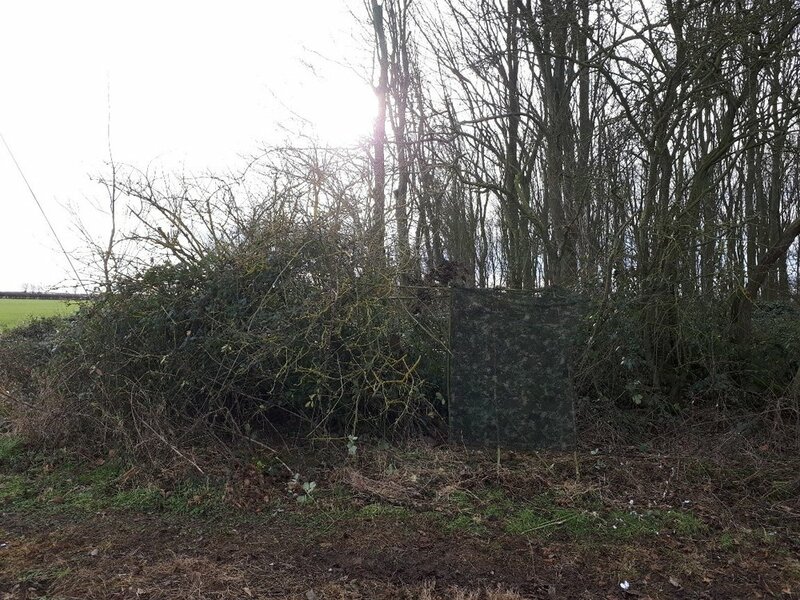 I sat in a high seat which is situated behind some bales on the edge of a farm yard and with a wood infront of me last week and I wished I had a shotgun not a rifle as woodpigeon flighted across the top of that wood keeping below the full force of the wind and right over the high seat. They where all 25 to 30yrds and |I was just wishing I had my Moderated Mossy 410 it would have been some exciting shooting. Now if I set up to actually plan to do that, there will not be a pigeon in the four counties. Local knowledge and your observation certainly paid off for a good hour of sport , as for your fold up saw , I bought one similar to yours from either Aldi or Lidl's it wasn't a lot of money and it have paid for itself several times over with cutting down over hanging branch's , also in my bag is a old pair of secateurs , very handy when setting your hide back in a hedge . Well done JDog, yes we do carry to much gear at times. 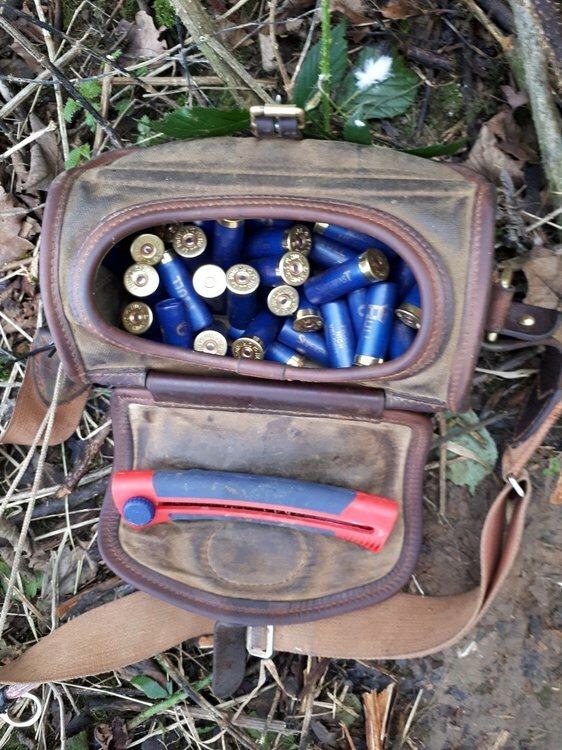 Nice to see you are taking plenty of cartridges these days. Hull superfast very good carts. Nice to see you have such a nice time with such little kit. Good work on the bush craft you’ll be making a fire and cooking them on it soon! Mind you it will mean lugging a frying pan with you!